In the summer of 2016, Mike Vaughan’s life changed forever. A semi-truck crushed his small Volkswagen Golf, and he sustained a traumatic brain injury (TBI) — one of the leading causes of death and disability across the globe. Vaughan’s long recovery in the hospital and at home left him feeling increasingly isolated and confined. 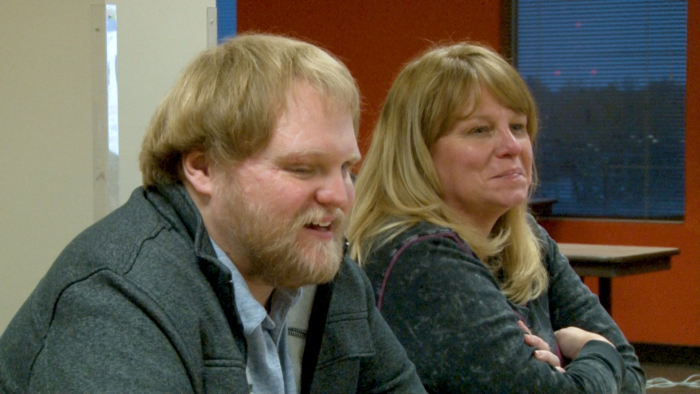 A wave of excitement washed over him when he discovered Easterseals Crossroads’ monthly support group — the Brain Injury Technology Education and Support (BITES) program. Ironically, before his injury, Vaughan worked as a software developer for CreateAbility Concepts, Inc., which serves people with disabilities and those living under the same sort of circumstances he now finds himself facing. Therefore, the assistive technology explored within the BITES group is warmly familiar to him. BITES meets on the third Wednesday of every month at Easterseals Crossroads to explore a variety of assistive technology devices and coping strategies for individuals with brain injuries. Now is a fitting time to remind people about this group, as March is Brain Injury Awareness Month. 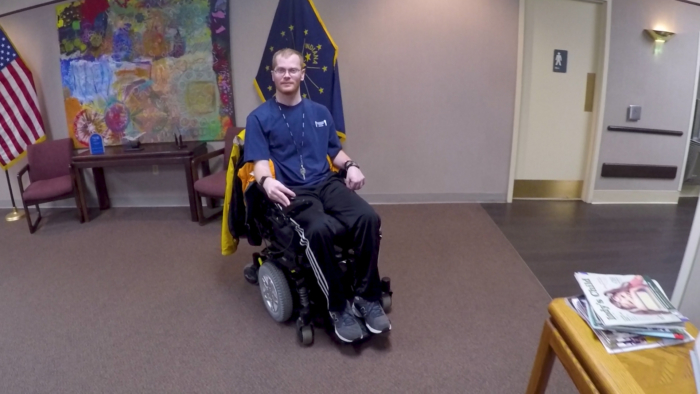 Last fall, Easterseals Crossroads partnered with the Rehabilitation Hospital of Indiana (RHI) to launch this group, which is made possible through a generous grant from the Comcast NBCUniversal Assistive Technology Grant Fund. 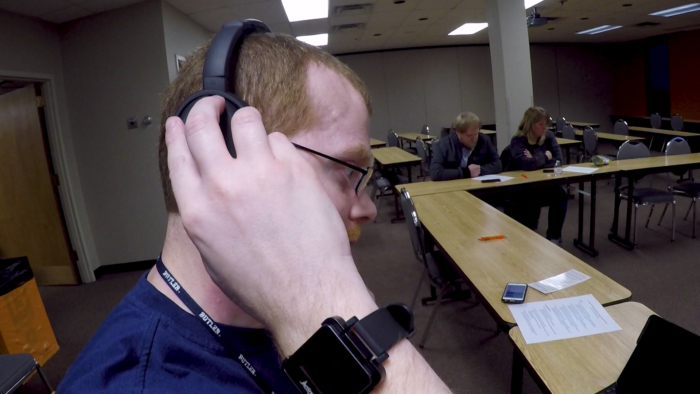 BITES introduces its members to an ever-expanding world of assistive technology, including everything from voice recorders and vibrating alarms to mobile apps featuring memory games, meditation methods, mood tracking and more. Much of this technology is right at our fingertips, but Easterseals Crossroads also gives BITES members access to less readily available technology through the INDATA Equipment Lending Library — a collection of approximately 2,500 assistive technology devices for individuals with visual, cognitive, hearing, mobility, learning and other disabilities. People can borrow any item for up to 30 days at no charge. Although BITES focuses largely on technology, it ultimately provides social and emotional support — not only for people with brain injuries but for their families and caregivers as well. Just ask Jan Quick, who attends meetings with her son, Ryan. He sustained a TBI from a car accident in the fall of 2012, and Quick cares for him every day. She finds comfort in meeting BITES members like her who are “walking the same road and facing the same battles.” And she beams with pride and relief when she sees Ryan out in the community and socializing. Before attending BITES and other groups, Ryan was reluctant to venture out into the community. “‘No’ was his favorite word,” Quick quipped. She recalls eventually pushing harder for him to participate, particularly in athletic events coordinated by RHI. When he finally took part in a skiing event, Ryan gained the strength to become more active. BITES is full of people like Ryan, who are filled with passion and excitement but in need of moving at a slightly slower pace. 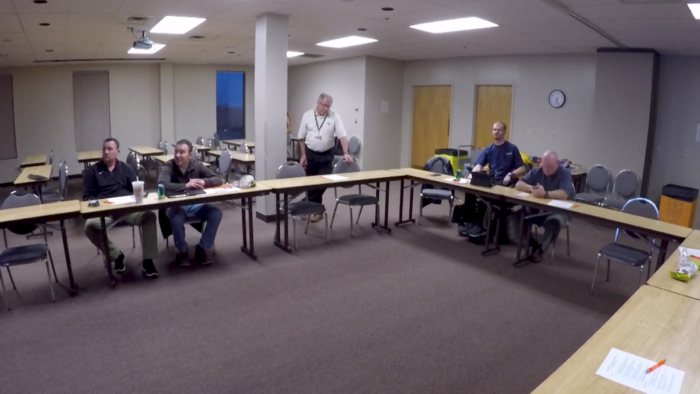 “They still have the same interests, loves, values and principles, but things are just a bit more difficult for them now,” said Wendy Waldman, the local support network leader at RHI. She serves as a consultant for Easterseals Crossroads and the BITES group. Waldman’s passion for her work lies in witnessing people persevere. She’s struck with awe when she sees TBI patients push past painful obstacles on the path toward being more independent. Their strength inspires her every day. Brian Norton, the director of assistive technology at Easterseals Crossroads, shares Waldman enthusiasm for working with the people in the BITES group. 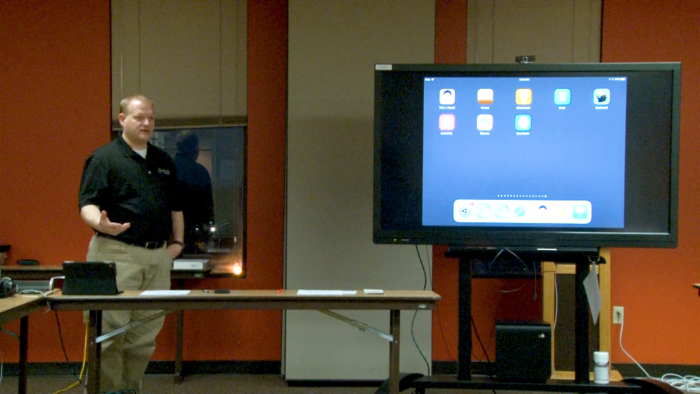 The next BITES meeting is April 18 from 6-7:30 p.m., and the topic is “You Bring It, We Will Fix It.” Attendees can bring their mobile devices and other technologies, and our team of assistive technology professionals will work with them to fix any issues they may be experiencing. For more information and to see a video highlighting the BITES group, please visit http://www.eastersealstech.com/bitesgroup/.